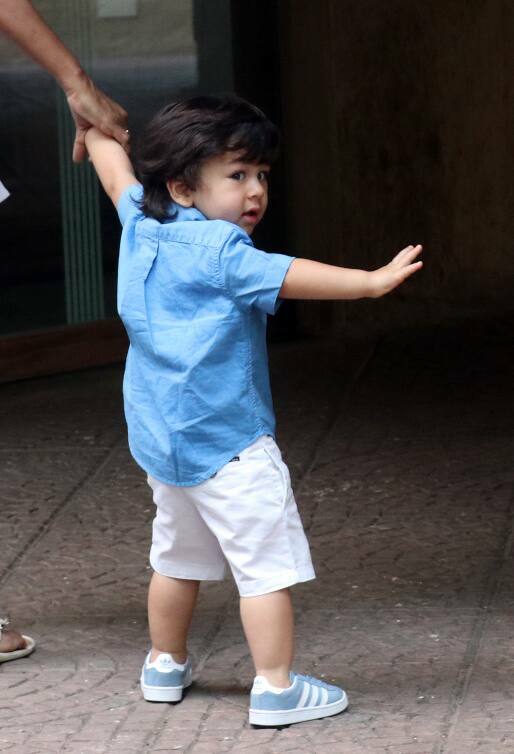 Bollywood youngest superstar Taimur Ali Khan was spotted entering his school. 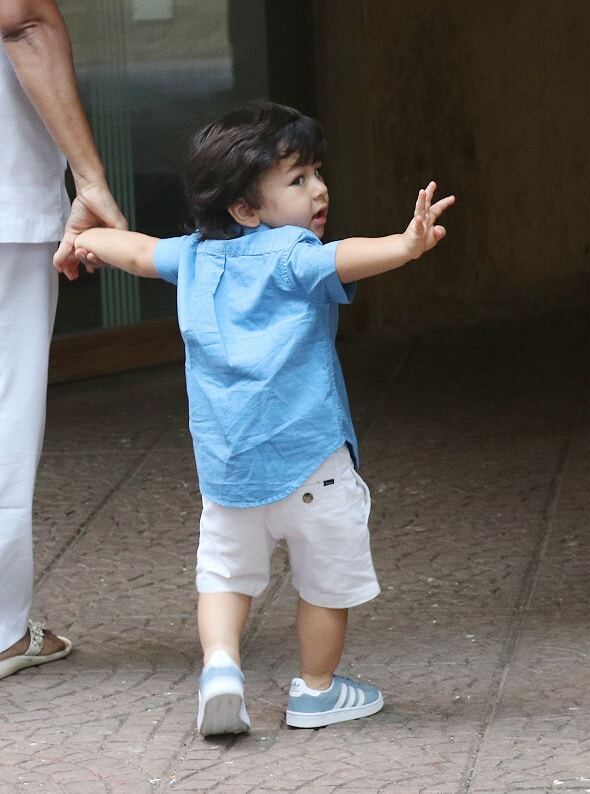 Although his nanny rushed him inside, he did not miss saying 'bye' to his favourite people-Shutterbugs. 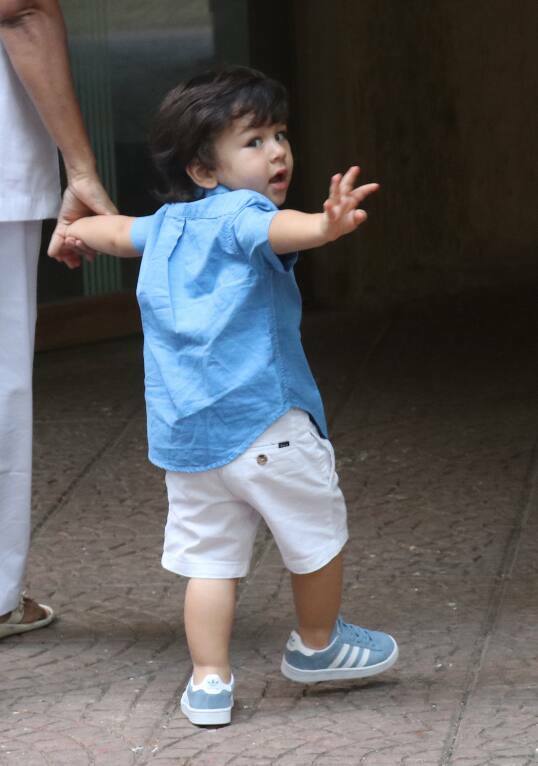 Dressed in a stylish blue shirt and white shorts, Taimur looked delectable as he flashed his newly learnt skills in front of the camera. Baby Tim sure loves the attention he gets from the media and is already so confident in front of the camera. 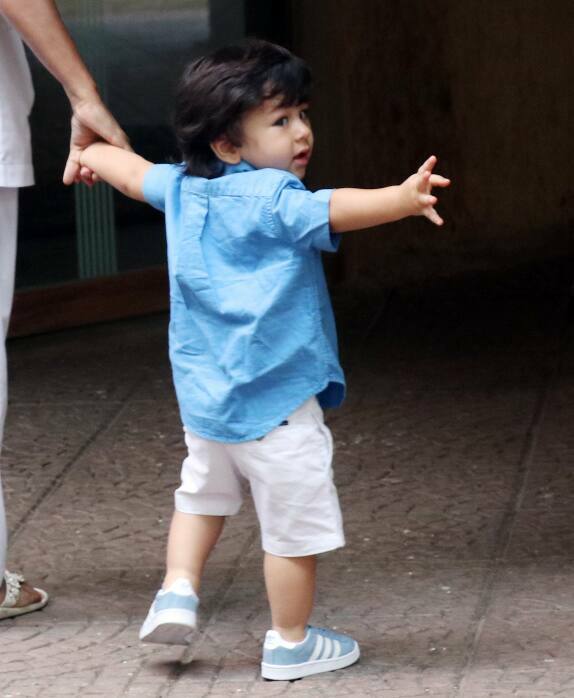 Taimur is clearly unaffected by what his mother Kareena and his nanny feel about the shutterbugs, he loves them and unfailingly acknowledges their presence everytime he meets them. 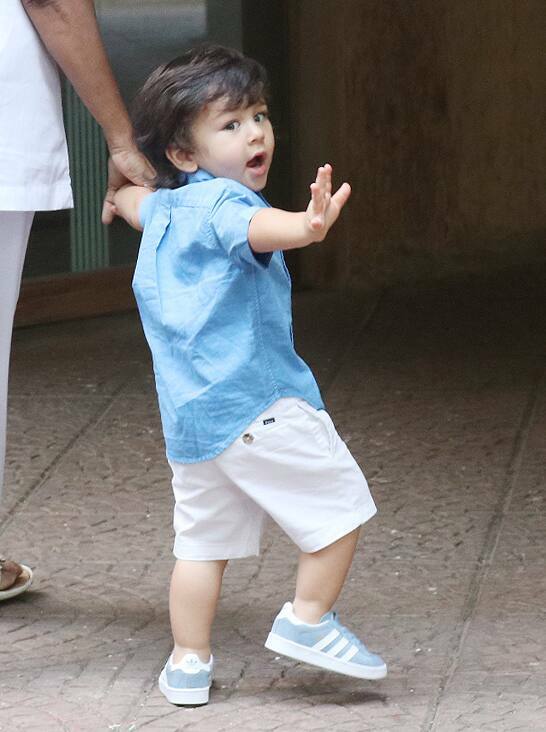 All of two and Taimur is already the king of social media.